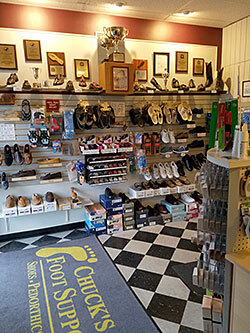 Chuck’s Foot Support offers a full range of over the counter foot care products. Our therapeutic shoes offer support and protection of the foot. We take the time to personally test products to bring the best quality to our customers. Chuck is a licensed C. Ped. 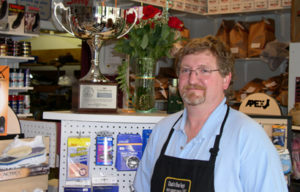 or pedorthist that fills doctor’s prescriptions for shoe modifications and custom orthotics. We manufacture most items in our local shop. Adjustments can be done in our local shop to further insure continuity of care for each customer. 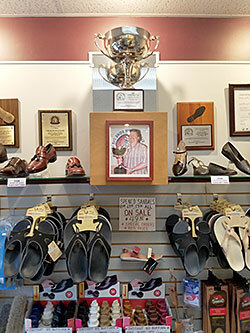 Pedorthics defined is the design, manufacture, modification, and/ or the fit of footwear: including shoes, orthotics and foot devices to prevent and alleviate foot problems caused by disease, congenital defects, overuse, or injury. 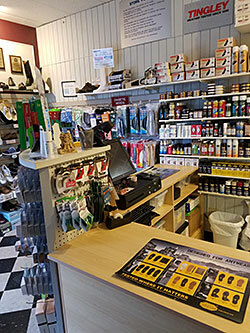 Fit over the counter orthotics type insoles and other devices. 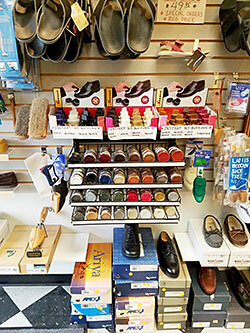 Modify shoes to accommodate Doctor prescribed treatments: build ups for leg discrepancy, rocker soles for fusions, buttress flares to add stability and many other shoe modifications. Manufacture and fit custom orthotics to accommodate Doctor prescribed treatments. What are common disorders that a Pedorthist help treat? Being proactive protecting the diabetic foot with well-fitting shoes and insoles both over the counter and prescribed by a doctor are important. Custom insoles for wound care under a doctor’s supervision aids the healing process. Plantar fasciitis. Both over the counter and custom orthotics support the arch to relieve pain and let the tendons heal. Therapeutic shoes and orthotics work together to support the arch and reduce stress on the tendons. Leg discrepancy. There are several causes for an individual to have one leg longer than the other leg. A build up added to the sole of the shoe or a lift put inside the shoe helps level a person’s stance reducing back and hip pain.